Welcome to the 4th Annual Super Stocking Stuffer Giveaway Hop, hosted by The Kids Did It and The Mommy Island. 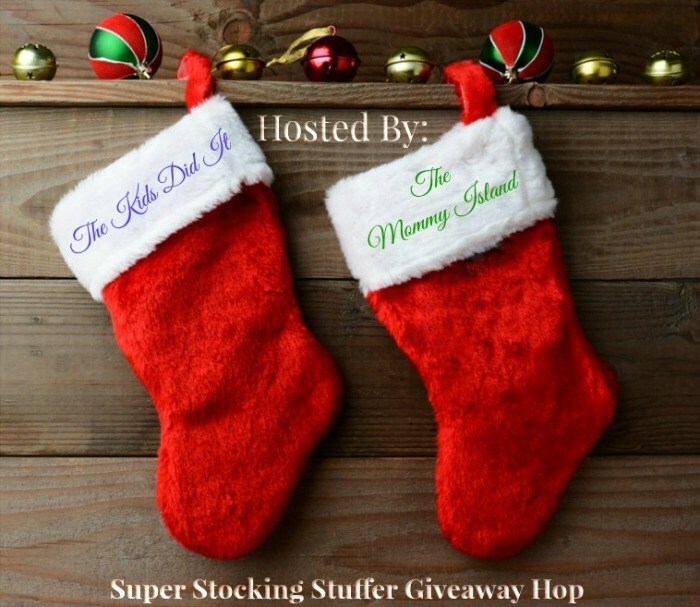 Several blogs are participating. By visiting each one, you have a chance to win some really cool prizes. For my giveaway, one winner will receive a Rocket Everlast notebook. The Everlast notebook by Rocketbook provides a classic pen and paper experience that is built for the digital age. Although it feels like a traditional notebook, the Everlast works with any pen from the Pilot Frixion line and is endlessly reusable and connected to all of your favorite cloud services. It works with any pen from the Pilot Frixion line and with Optical Character Recognition (OCR) features, the Rocketbook allows users to transcribe and search handwritten notes right in the Rocketbook App. Rocketbook brings everyone on your holiday list into the digital era and helps them stay organized and efficient without wasting paper. Use the Rocketbook app to scan your notes into editable documents and automatically save them to your favorite cloud services including Dropbox, Google Drive, and Evernote, to name a few. 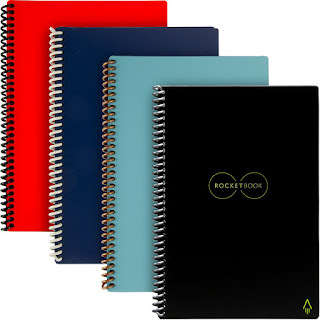 Rocketbook allows users to document their notes and illustrations in an efficient and environmentally-friendly way. This post is in partnership with PR firm. Please do your own research before purchasing products or using services. Your opinions and results may differ. My kids want a new laptop for Christmas. I really want an Air Fryer this year for Christmas! They sound amazing! My child wants an apple 3 watch. We always try to buy her one thing she wants but this is a bit out of our price range! My son would like air pods for his iPhone. I gave my mom a list of things on Novica's website that I like in their clearance section. I would love a new set of pots and pans for cooking! My daughter would love a new bookcase for her collection of art books. My daughter wants a gaming headset for Christmas this year. I would love some new chairs and books. I would love a trip to the beach but that ain't happening! For Christmas this year, I would love a new laptop for my oldest daughter who is in clinicals for a radiology program. For Christmas this year I would like a new pair of boots. I would like an intstapot or an air fryer. I want a weighted blanket. I would love some cookbooks! I want my baby to stay healthy and not catch all the flu and whopping cough that's going around. We always like gift cards. They are fluffy round cat plushies. I forgot what they are called. I would like a new robe. My kids want a PS4. My kids want new electronics. I wan t a new ipad this year. My kids, a switch. I would like gift cards for Christmas. I would like cowboy boots. My little one has actually asked for some books! my kids would like xbox gift cards. My kids want a PS4 this year! My daughter wants lots of things I can't afford and slime stuff. I just money for bills. Nintendo Switch.. ughhh. SO pricey. I would like a new tablet this year. My daughter wants the Fall Out Cook Book. My daughter wants The Greatest Showman DVD. I would love a Pendleton Blanket for Christmas. my daughter wants an lol surprise doll house. My son most wants a slide and a pedal for his guitar this year. My daughter wants an Adidas jacket. Well, my son would love to have Xbox games and I would LOVE to have a new laptop. Unfortunately, if I want a new laptop I'm going to have to get it for myself. Happy Holidays everyone! My child wants cash this year (surprise, lol). Thanks for the giveaway! I would love to have a new Kindle Paperwhite because mine is messing up. Kids in my family want electronics and fashion pieces. I am not sure maybe I want a new coat. I want a set of Corningware. My grandson wants a Lego Minecraft set. I want a new lens for my camera for Christmas. My daughter Allissiaunna wants an American Girl doll that she can make herself. My son wants a 4K tv. I love this notebook -- I think my kids would each want one if they knew this existed. They both love to sketch and write stories. I have one wanting a PS4 for Christmas. My son asked for toy cars and books! I, my mom, and my mother in law split the cost of a really nice handmade play kitchen for my son this year. My daughter really wants to have gift cards this year for clothes shopping! My kids want geodes for Christmas!! A Tv , the old one is dying. My 4 granddaughters want 4 wheelers to ride around the farm. My kids want new bedding and money for Christmas. My grandson has Beaker Creatures on his Wishlist. My sons want bigger tv's this year and video games. My daughters both want clothes. I'd love a new pair of pajamas. I really just want to go on a trip! I don't really want much in the way of material things this year. I bet Two of my daughters would love to have a rocketbook notebook for xmas! They are both in college and one of them is a full time working, only parent of a toddler who is her world and does college fulltime when he is asleep and I see her writing in regular notebooks and then doing her online stuff and I can't help but think of how much easier it would make her life not only for college but for to do lists and her goal lists and objective check off lists etc that she makes etc too. I would love a new jacket this year. I would love a camera back pack. The little ones desire Hatchimals! My children would like Legos. I would love a new washer & dryer. I would like snow boots. I wanna of Days by Ransom Riggs. I love him! My kids would like a PS4. My daughter wants school supplies for her college classes. I want a new dulcimer for Xmas.